This quartet features a new visitor to Planet Ivo, bassist Brandon Lopez; his work illuminates the ensemble playing from within, and his spotlit solo in part 7 bristles with the lithe muscularity that animates Wooley's own quartet. 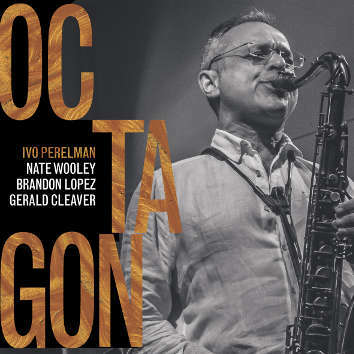 Ivo says: "I wanted this album to be the classic tenor-trumpet quartet, and I was happy to have used Brandon, because he gives us even more fire, more stimulus. He gives a very special identity to this CD."